The future of the automotive industry is rapidly changing. The era of internal combustion engines as a single power source is ending, indicating a transformation that makes vehicles cleaner. To get there, we need engineering plastics that are capable of meeting extreme challenges. 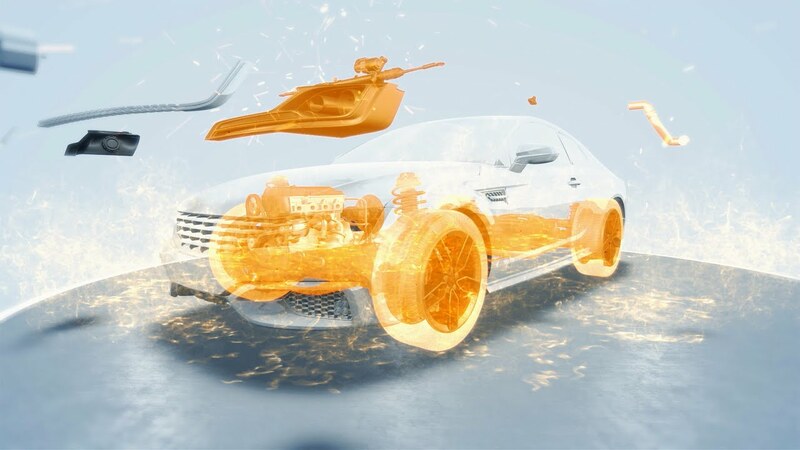 Our portfolio of tough yet lightweight plastics are driving manufacturers to produce automotive components that are extremely light, reduce engine friction, and can operate in extreme environments – particularly at very high temperatures. All of these characteristics lead to reducing emissions, as well as system costs. It’s time for the automotive industry to think differently. To work together to move beyond metal to create lighter, more advanced vehicles with drastically smaller carbon footprints. DSM has collaborated with Tier One automotive supplier Mahle GmbH to develop the world’s first high-volume use of high-heat plastic in an air intake manifold (AIM) that integrates a water-cooled charge air cooler (CAC). For more than 20 years, DSM has worked to develop a range of materials for automotive applications that perform more reliably and longer than metals and most plastics, while also delivering commercial, environmental and design benefits. Realizing fuel efficiency by light weight and friction reduction. Our broad portfolio of materials has grades suited to a wide range of exterior applications – for both painted and unpainted parts. Drivers have the most interaction with the interior of the vehicle, making it a key area of focus as automobile manufacturers focus on improving the driving experience. Reducing the weight of electronic power steering systems (EPS) without compromising driver safety has proven a great challenge to the industry. The suspension system is essential to ensuring a smooth and enjoyable ride – with reduced noise, vibration and harshness for the driver and passengers. For more than 25 years DSM has worked with the automotive industry to design better, smarter, safer, lighter – and increasingly greener components.